First Listen: Of Monsters And Men, 'My Head Is An Animal' Each song on My Head Is An Animal, out April 3, showcases Of Monsters and Men's wide-eyed, openhearted exuberance. The album's songs ring with unbridled joy, just in time for spring. Of Monsters and Men's new album, My Head Is an Animal, comes out April 3. KEXP's staff first heard the Icelandic band Of Monsters and Men during a 2010 visit to the Iceland Airwaves Music Festival, and we knew right away that we'd encountered something special. The group had just won the Músiktilraunir, a Reykjavik-based battle of the bands, and we were fortunate to film an intimate session with the sextet in its living room, capturing Of Monsters and Men in its infancy. Even then, the band's unique charm and talent was undeniable: The video for "Little Talks" soon went viral, attracting international attention. 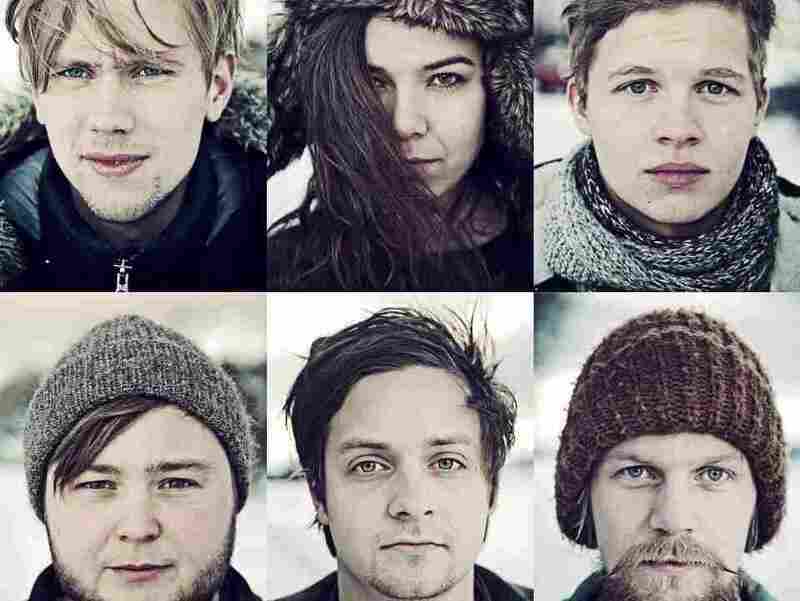 Soon, to the surprise of no one, Of Monsters and Men had a U.S. record deal. Upon our return visit to the Iceland Airwaves Music Festival in 2011, the group's debut album, My Head Is an Animal, had just been released in Iceland, and it delivered on the considerable promise of that living-room show. Nanna Bryndís Hilmarsdóttir and Ragnar Þórhallsson's lead vocals, appropriate to the land of fire and ice, intertwine beautifully before erupting into rousing sing-along choruses in the spirit of Arcade Fire or Edward Sharpe and the Magnetic Zeros. Each song on My Head Is An Animal — out here on April 3 — demonstrates Of Monsters and Men's wide-eyed, openhearted exuberance. It's an album that rings with unbridled joy, just in time for spring.